Download our FREE jargon busting eGuide to Inbound Marketing terminology. We've all heard of Inbound Marketing, many of you will have heard the jargon and terminology surrounding it. But to most of us the definitions, meanings and interrelationships between them can be a bewildering lexicon to commit to memory. So, if you are still trying to work out what all of these terms mean then our 35 page, A to Z, eBook, containing over 200 definitions and explanations may just be the thing you need. Understand what each term means. Identify where and why the terms is used. Avoid being blindsided by jargon. Help you get the most from Inbound Marketing. 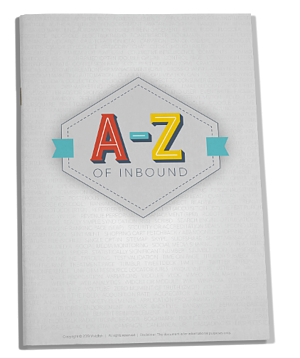 Just complete the form and download our A to Z of Inbound Marketing.